In answering a fan on Twitter, Anthem producer Ben Irving has confirmed the amount of matchmaking in the game – and it's extensive. Matchmaking in "every activity" would mean players can team-up for everything from Strongholds and missions, to events, and free-play. BioWare has previously confirmed that "most" of the game can be soloable, while Strongholds require four players. 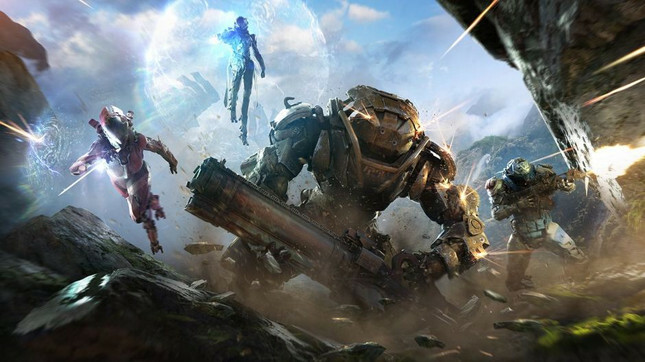 Having matchmaking confirmed for this element of Anthem helps set it apart from others in the genre, which have offered limited matchmaking – if any at all – for endgame content. Of course, one element that won't include matchmaking is Anthem Player vs. Player, since there won't be any PVP at launch. Anticipation for the upcoming title is growing, with BioWare sharing new gameplay footage last week, while an open-beta will be available from February 1–3. Anthem releases February 22 on PlayStation 4, Xbox One and PC.